Bindi Irwin Remembers "Incredible" Dad Steve Irwin, Shares His Greatest Piece of Advice—Watch Now! 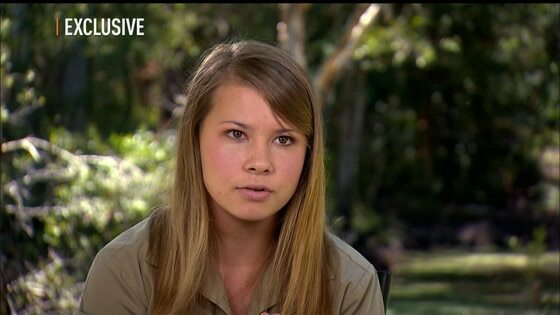 Bindi Irwin definitely shares her father's passion for wildlife. The 15-year-old daughter of the late Crocodile Hunter Steve Irwin sat down with E! News to explain what it's like to live on a zoo and to share the greatest piece of advice from her late father, who died in 2006. "I have spent my entire life living in a zoo, which is pretty crazy. Not many kids get to say that," Irwin told E! News, "and it took me until I was about three years old to realize that we didn't just come to the zoo every day, that we actually lived here. "Every day we'd wake up and come to the zoo and I'd think, 'We're coming to the zoo again. This is great!' Until it hit me that we live here. We literally live right in the middle of the zoo and it means that every day is a new experience and so much fun." LOOK: Check out Bindi's zoo-themed birthday party! Bindi began learning from her father, an Australian wildlife expert, at an early age, and tells us that she and her family are making sure all of Steve's efforts don't disappear. "He was the greatest dad on the planet. He was our inspiration, who we looked up to the most and, for us, we wanna carry on his legacy. We wanna make sure that his message of wildlife and conservation continues, because he was the world's greatest conservationist and so we never want that message to die," Irwin says. "With dad, he was the ultimate wildlife warrior and we admired him more than anything. Dad honestly was incredible. We never got nervous about him with animals, but I do remember he gave me a piece of advice that has stuck with me forever. He said, 'You have to treat animals the way you wish to be treated.' Which is so true. And I think that applies to all animals. "If you treat animals how you want to be treated, you're a lot better off. So when he was working with venomous snakes or cheetahs, he just treated them in a way…it was never trying to overpower them or anything like that. He was just loving them. And he was teaching other people about how beautiful they are. Telling people how to respect snakes and respect crocodiles and to love them. And I think if you go about it with that kind of attitude, it's brilliant." Tune in to E! 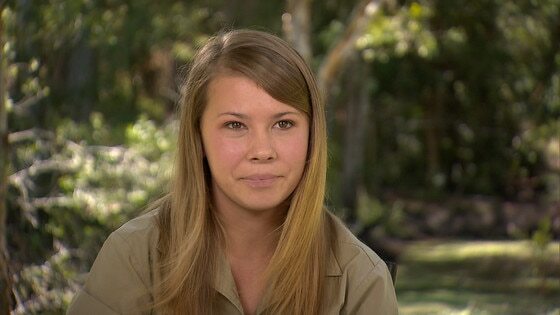 News tonight at 7 p.m. & 11:30 p.m. to hear more from Bindi Irwin's exclusive interview!